I'm acutally really fond of pamphlets. This was a very painstaking page to make, in fact it took me over 3 hours. They're really thick pamphlets made of sharp thick glossy paper. Loving the speed lines, also pamphlets can be really dangerous. There is a community boars at work and I risk my life whenever I pass it. Have a zombie chasing you? Want to fight back? 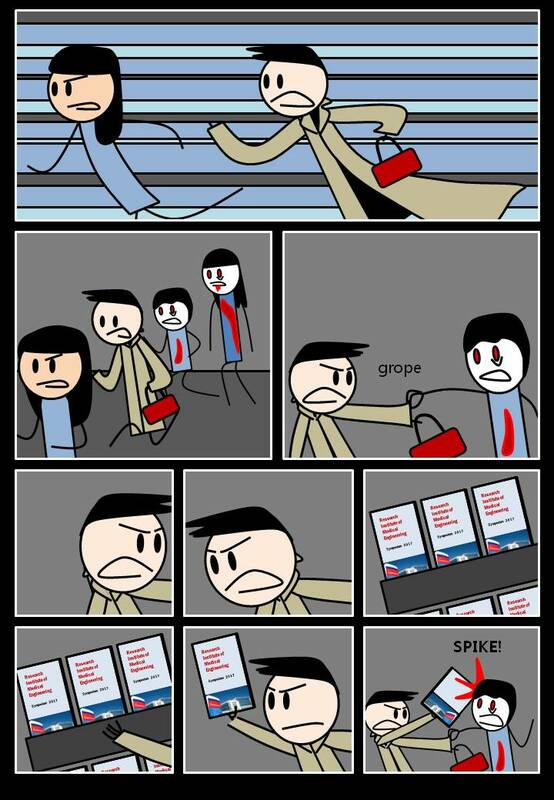 Pamphlet(C) is the key to killing all of your zombies! Do you have a pamphlet collection? Haha after the last panel I doubted whether those were really pamphlets. But I dig the joke that a piece of paper could pierce someone's skull.